A popular classic with a modern touch. A recent project involved fitting the contemporary fireplace in the private home of one of our best developer clients. 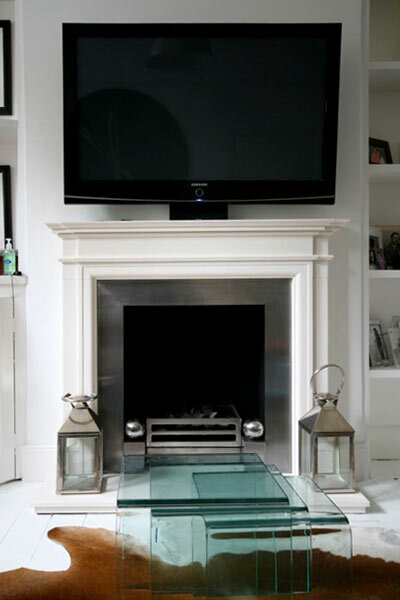 The Billington Partnership has fitted a number of fireplaces in the beautiful properties that my client has renovated. And therefore it was especially pleasing that he asked us to source and install his own fireplace. And after a number of designs presented to him, he opted for a classic fireplace style which dates back to Georgian styling but has enjoyed a renaissance due to its clean, strong lines. To then add stainless steel slips and modern basket with contemporary dogs, he ended up with an absolute beauty!